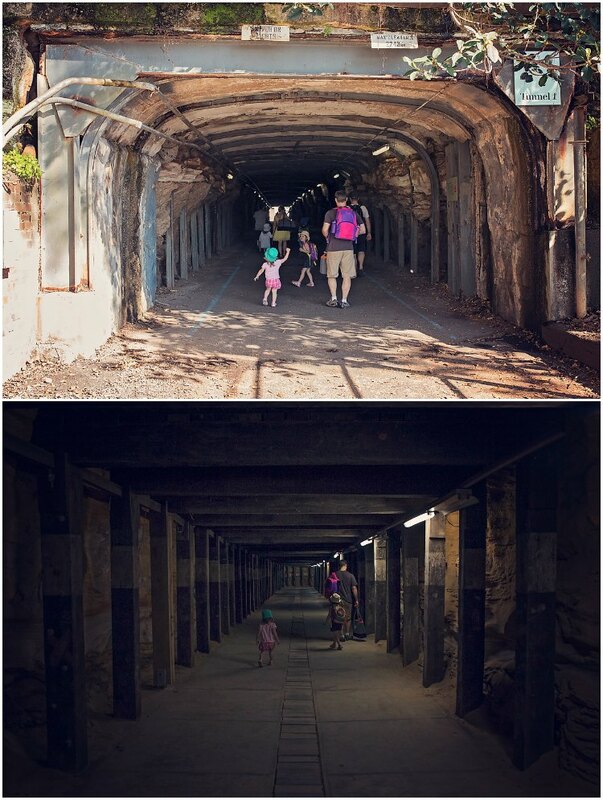 Cockatoo Island is one of those places that I had heard so much about and have always wanted to visit but for some reason or another never got around to it. Now I have, and I tell you, we can't wait to go back! It's definitely one of the most child-friendly places in Sydney. 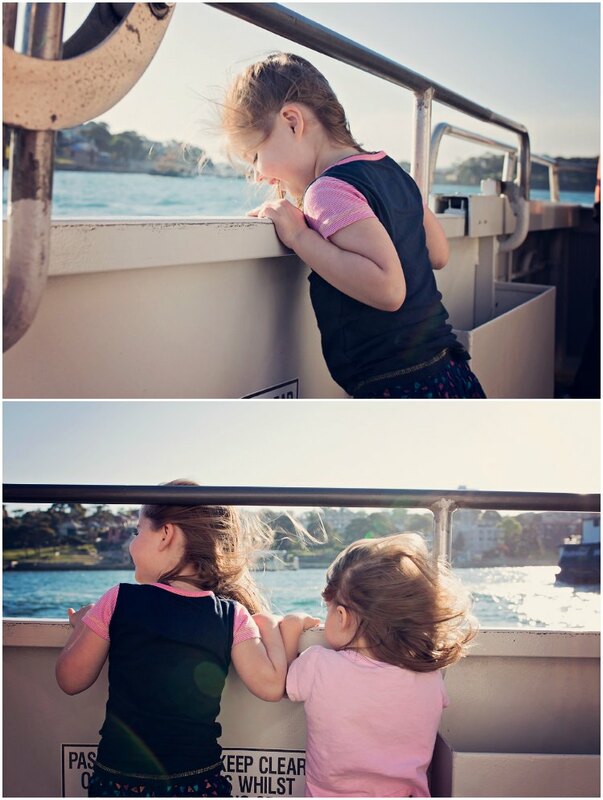 Over the long weekend we packed up the girls and hopped on a train (or three) to make our way to Circular Quay. From Circular Quay we jumped on a ferry and after a quick trip (which the girls absolutely adored!) 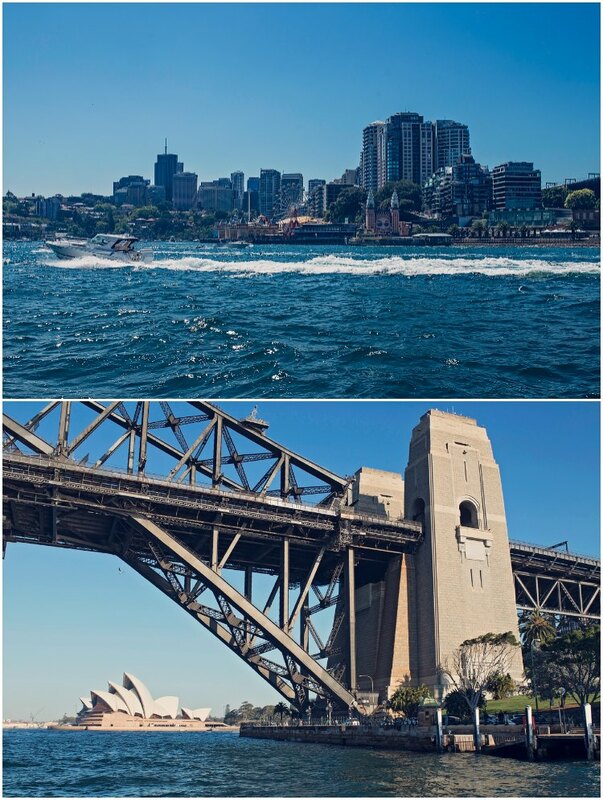 we arrived at the beautiful Cockatoo Island in Sydney Harbour. 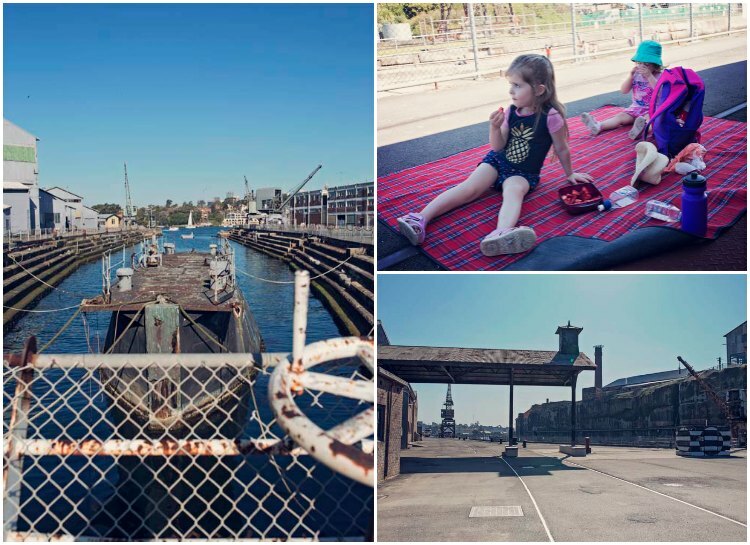 Cockatoo Island has been everything from a penal establishment to an Industrial School for Girls to a Naval Dockyard and shipbuilding facility. Now though it's a beautiful space that has been opened up to the public for recreation and relaxing. There is much to do on the island. There are numerous spots for picnicing, you can camp (or even glamp!) or book a stay in one of the many apartments and cottages available. You can play tennis, take a self-guided history tour, hire a boat, swim and relax in the sun. There are a couple of cafes and also licensed bar, perfect for unwinding after a day of sunshine. We spent most of our time sitting in the shade, enjoying the view and letting the kids play. We wandered through two of the tunnels and the girls had a great time making lots of loud noises as we walked through them! Our visit to the island was a brief one, and we are keen to get back and spend more time enjoying what the island has to offer. The adults also have plans to head back for an overnighter, sans kids, and enjoy the camping facilities and bar. 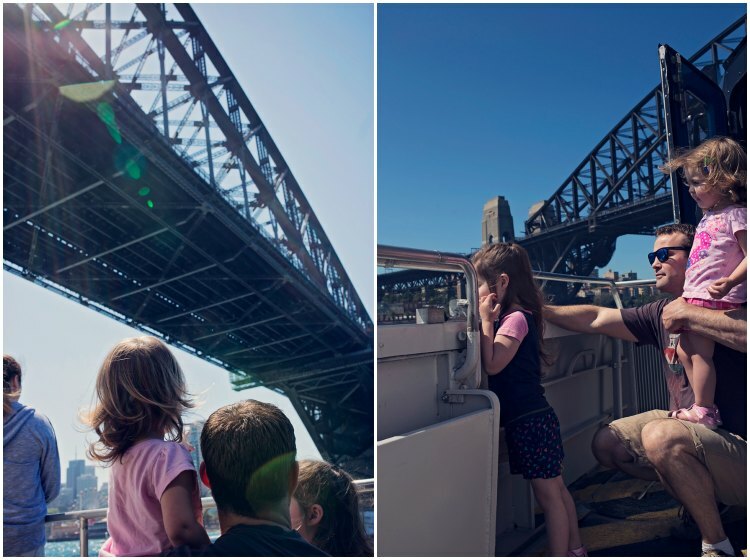 Part of the fun of visiting Cockatoo Island is getting there, and nothing beats a ride on a ferry for getting the excitement levels of the kids up! All 6 kids loved the ride, and were hanging out the windows the whole time. Punky couldn't pull herself away from the side of the ferry and insisted on spending the entire trip standing by the rail, watching the city rush by and marvelling at the speed we were moving and the vast amount of water all around us. 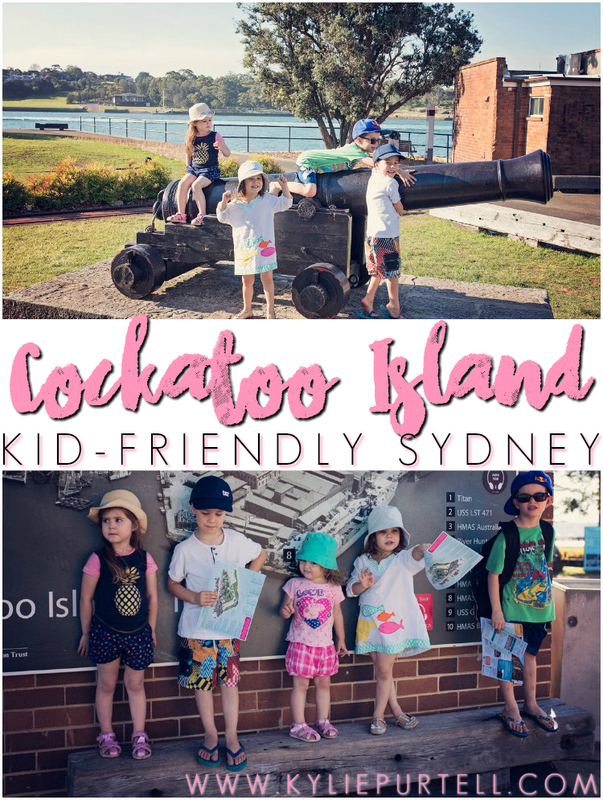 Cockatoo Island is free to visit, and the ferry trip was $24 return for two adults from Circular Quay. 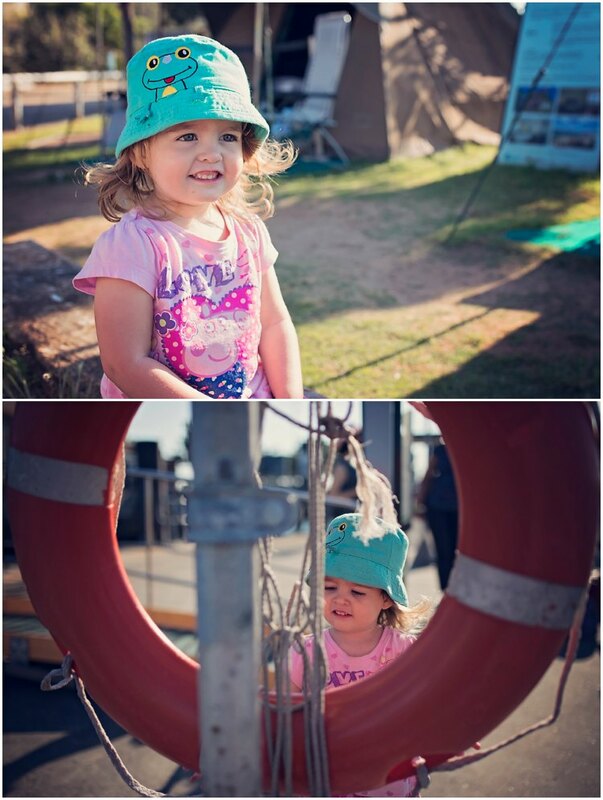 Kids under 4 are free on Sydney ferries and trains. If you pack a picnic lunch (which we did) it ends up being quite a cheap day out. We had such a fun day and I couldn't recommend Cockatoo Island more for a day out in Sydney with young kids (just make sure you get your 2 year old on a good day. If there is such a thing!). For all you need to know about Cockatoo Island and it's facilities you can find their website here. 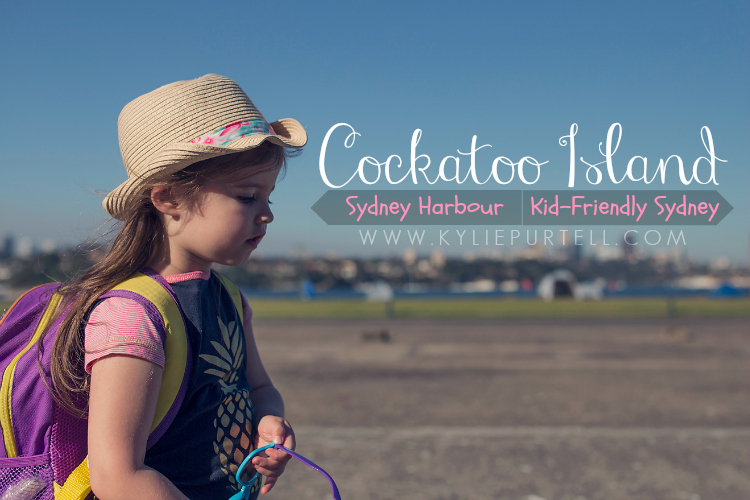 Have you ever been to Cockatoo Island? 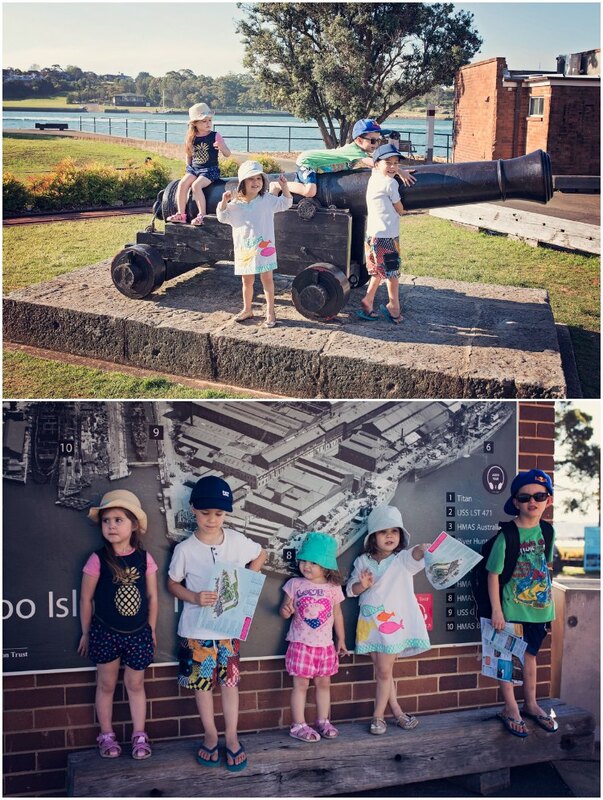 What other places do you like to visit around Sydney with kids?